A young construction apprentice from Withernsea has been named runner-up at a prestigious national trades awards competition held by British builders’ merchants Jewson. 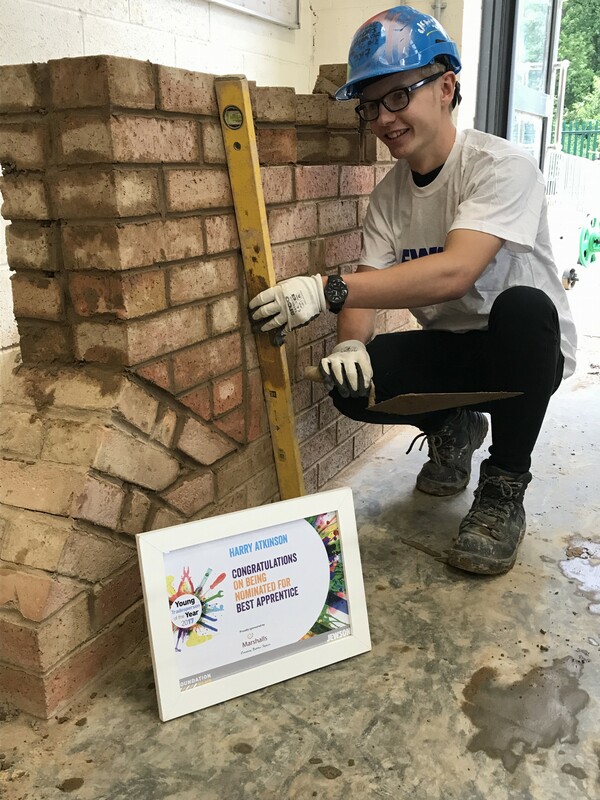 Harry Atkinson, 18, was chosen as runner-up in the Best Apprentice category of the Jewson Young Tradesperson of the Year 2017 awards. Harry, who is currently studying a Level One Diploma in Bricklaying at Bishop Burton College, was nominated for the award after beginning an apprenticeship with Hull-based construction firm Hobson & Porter at the Foundations Live event which was held at the College in 2016. Harry has worked on a number of building sites during his apprenticeship, including Hull’s Dry Dock development and Selby College, and has been praised for his attitude and commitment to his work, and professionalism which belies his age. The awards were judged by a panel of industry experts and winners were announced at an exclusive awards event at the Custard Factory in Birmingham. On being named runner-up, Harry said: “I’m really proud to have been shortlisted for such a prestigious award. To win ‘Best Apprentice’ would have been a fantastic achievement, but just reaching the final, given I’m still in training, is a great accolade and one that I know will spur me on as I enter my third and final year of my apprenticeship. Chris Reader, Branch Manager at Jewson’s Sutton Fields branch, said: “The Young Tradesperson of the Year competition is a national competition which seeks to showcase and celebrate the work of the building trade’s freshest talent. “This year we had invitations to enter from over 800 branches across the country, so for Harry to be shortlisted is a fantastic achievement. The calibre of entries this year was particularly high so he has done incredibly well to get this far. Following the completion of his Level One Diploma Harry will begin an Advanced Apprenticeship, after which he will aim to become employed as a CITB-qualified construction professional. Jeremy Hara, Course Manager for Construction at Bishop Burton College, said: “Throughout his two years at the College, Harry has excelled; largely as a result of his commitment, determination and professionalism to the course. This attitude followed through when Harry undertook a period of work experience with a local construction company; the company was so impressed with his efforts that they took him on as an apprentice. David Blades, Business Development Director for Hobson & Porter, said: “As part of our Foundations scheme which pledges to improve employability in the industry, we have worked closely with several of our partner businesses and organisations to host a number of events for students. 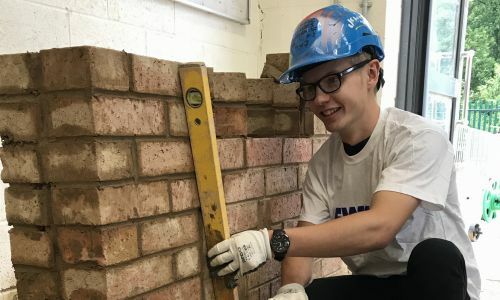 “Harry’s apprenticeship and involvement in the Young Tradesperson of the Year awards stemmed from last year’s Foundations Live event, which was held at the college, and saw more than 350 students meet with a host of industry professionals. In September Foundations will be hosting its next event at Bishop Burton’s construction workshop. Schools from across the region will be invited to meet with key industry professionals and supply chain partners to share careers advice and best practices.